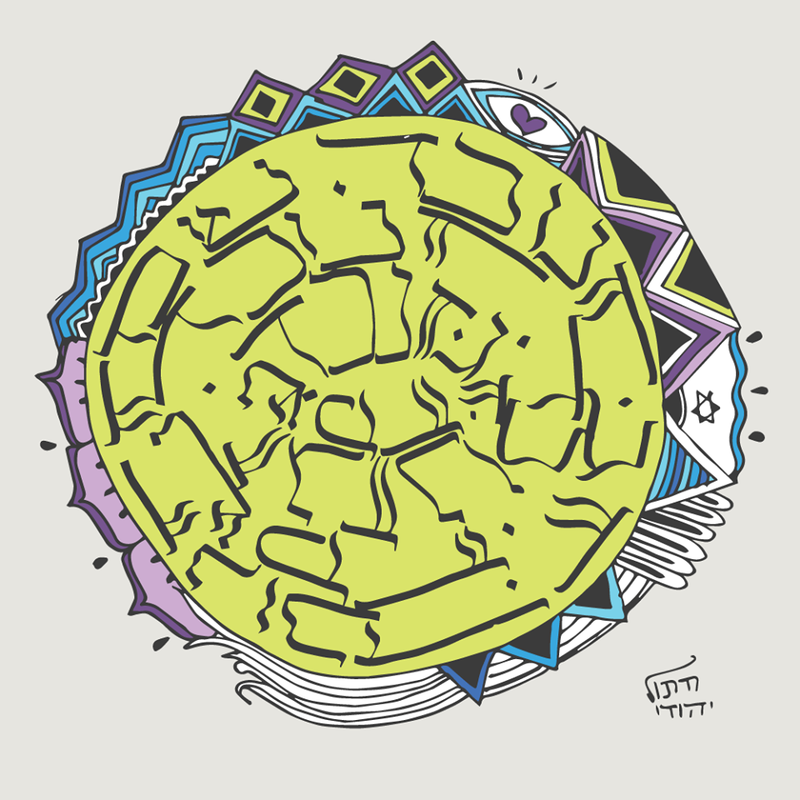 mandala, spiral text, 21st century C.E., 58th century A.M.
“חנוכה שמח – מנדלה | Ḥanukkah Sameaḥ Mandala by Ḥatul Yehudi (Cat Jew)” is shared by חתול יהודי with a Creative Commons Public Domain Dedication 1.0 Universal license. Gatojudeu is a Yemeni Jewish artist in Brazil. Please reciprocate for any adaptation or redistribution of this work by (1) properly attributing the work to חתול יהודי, (2) clearly indicating the date you accessed the resource and whether any changes have been made (and if so, please be in touch with us and leave a comment below so that we might note your adaptation or improvement), (3) providing a link back to this source, and (4) specifying the Creative Commons Zero (CC 0) Universal license a Public Domain dedication under which this work was shared.